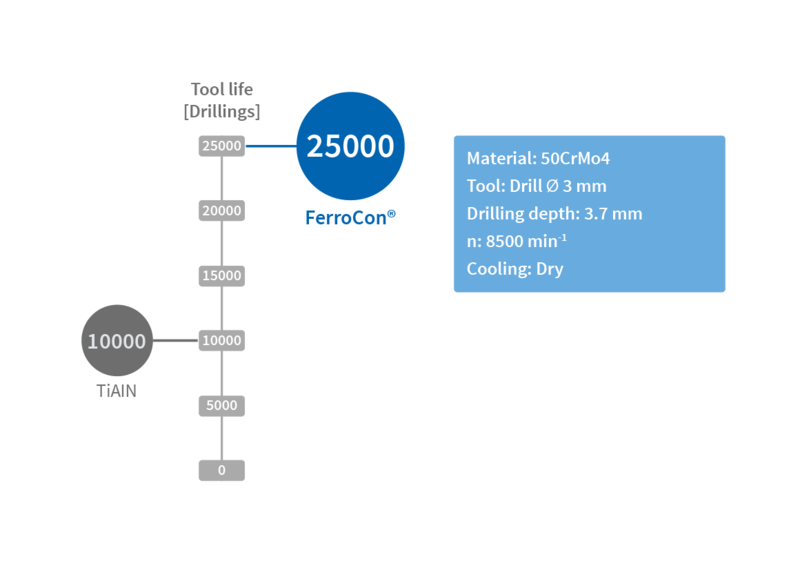 Featuring denser coatings, improved hardness / toughness and enhanced cutting results – all with a deposition rate of 2 μm/h. HiPIMS (High Power Impuls Magnetron Sputtering) is the next step in Sputter technology, combining all the advantages of the common coating technologies and methods currently on the market. 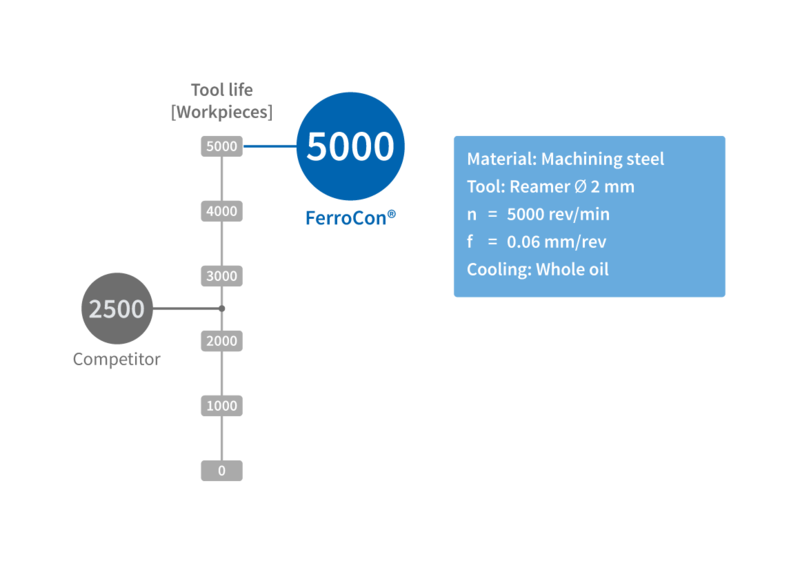 CemeCon has systematically refined the HiPIMS technology to the point of being ready for industrial coating production. Like the DC Sputtering process, HiPIMS deposits smooth, droplet-free and low stress coatings in an almost unlimited variety. 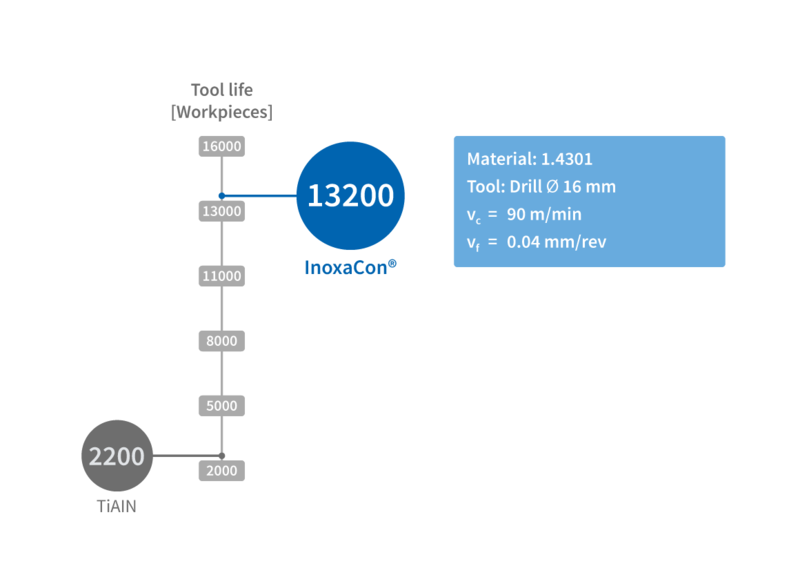 Scratch loads up to 130 Newton prove the superb coating adhesion which is directly related to the high ionization level. HiPIMS coatings are both hard and tough at the same time thanks to the dense and nearly amorphous film structure. 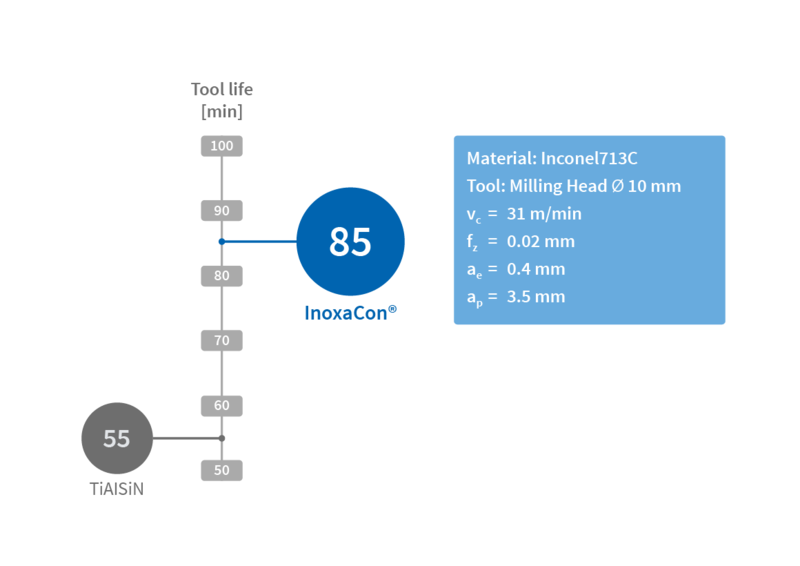 A consistent and homogeneous distribution of coating thickness all around three-dimensional objects like the cutting edge of a tool, facilitates optimal wear protection. 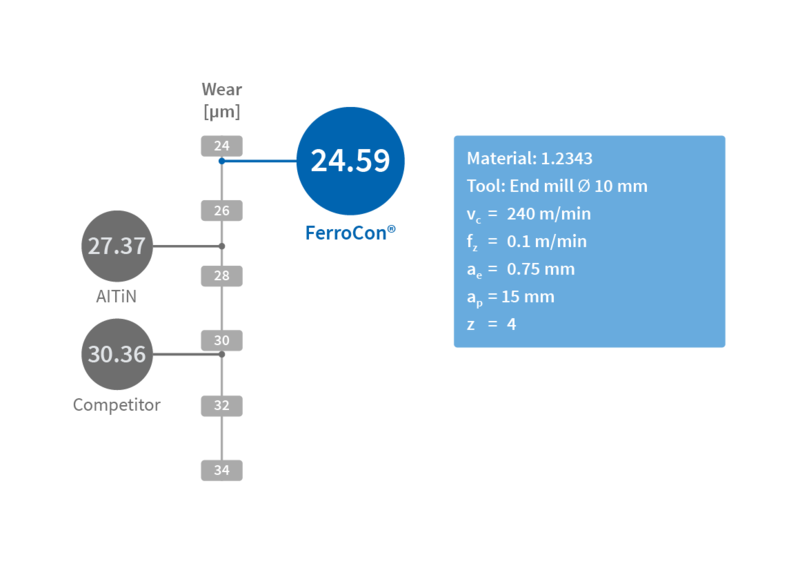 In terms of technology this means maximum flexibility and highest productivity with a deposition rate of 2 μm/h. 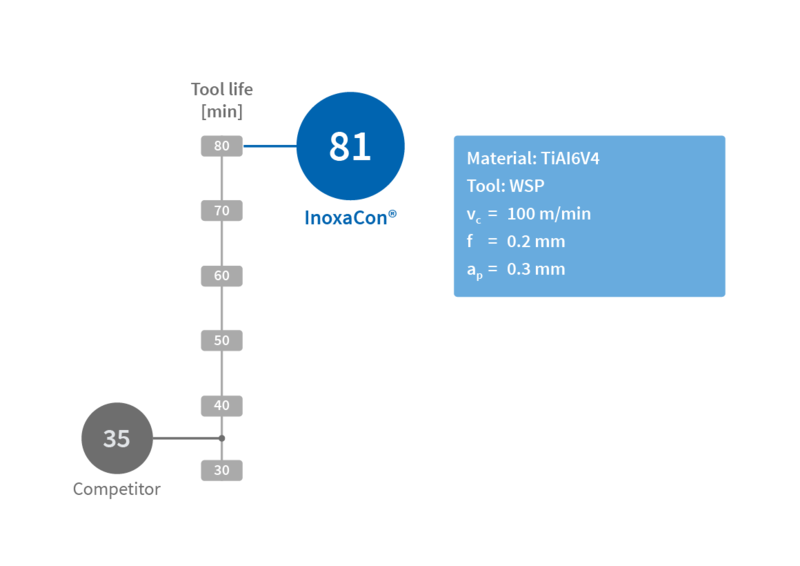 Please select a process to see the advantages of HiPIMS coatings AluCon®, FerroCon® and InoxaCon® in comparison to conventional coatings. Why choose CemeCon HiPIMS Technology? The performance peaks with the HiPIMS process form a high-energy plasma that ionizes the deposited materials at unprecedented levels. The high flux of highly ionized species results in very dense and nearly completely amorphous coating structures. The high metal ionization ensures the best possible adhesion. A scratch load of 120 Newton is an outstanding resulst for the silicon-doped, and therefore very hard, coating. 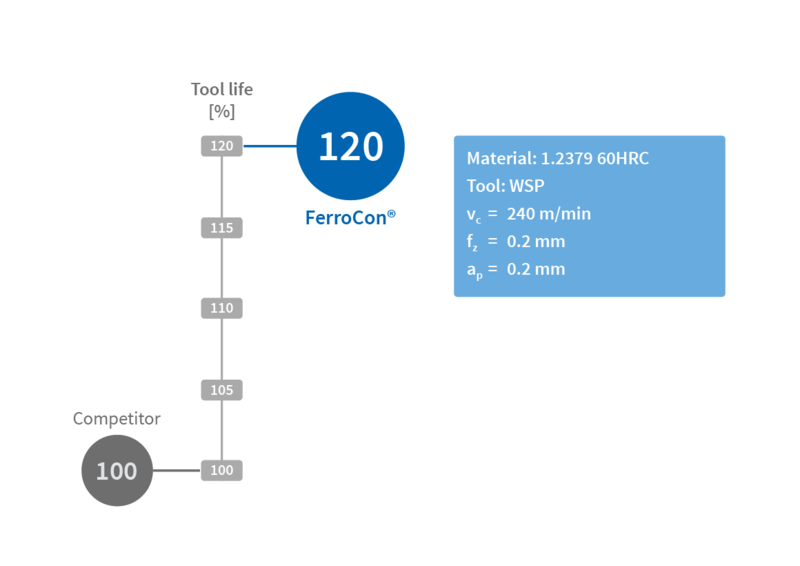 FerroCon®, based on AlTiN results in a scratch value of up to 130 Newton. This enables to machine the most difficult materials. The high ionization makes the coating structure very dense and compact. Such a fine grain morphology is likewise hard and tough. Coatings grow extremely homogeneous when HiPIMS is used for the deposition. Also, very complex tool geometries will receive approximately the same coating thickness all around the cutting edge. HiPIMS is a Sputter process. Almost any material can be sputtered. 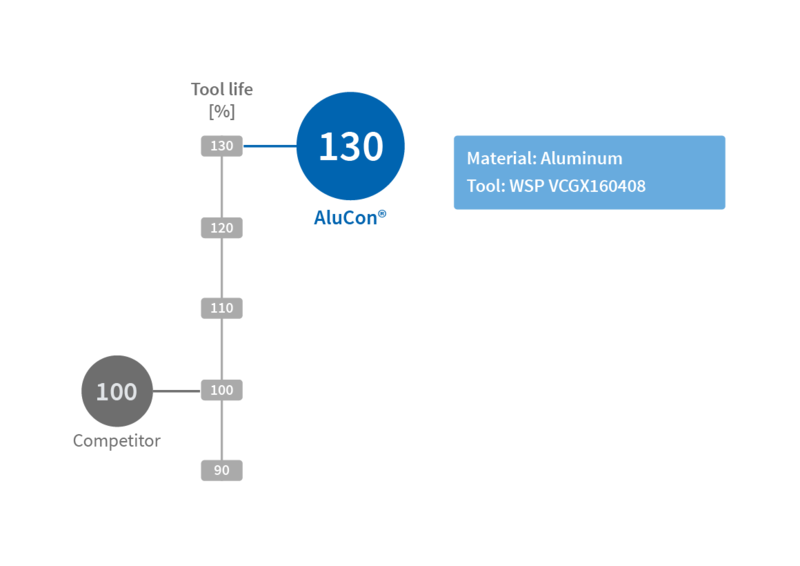 This means an unlimited material variety in coatings production through diverse combinations of the elements of the periodic table. Suitable for micro tools. Free of defects and no antenna effect. 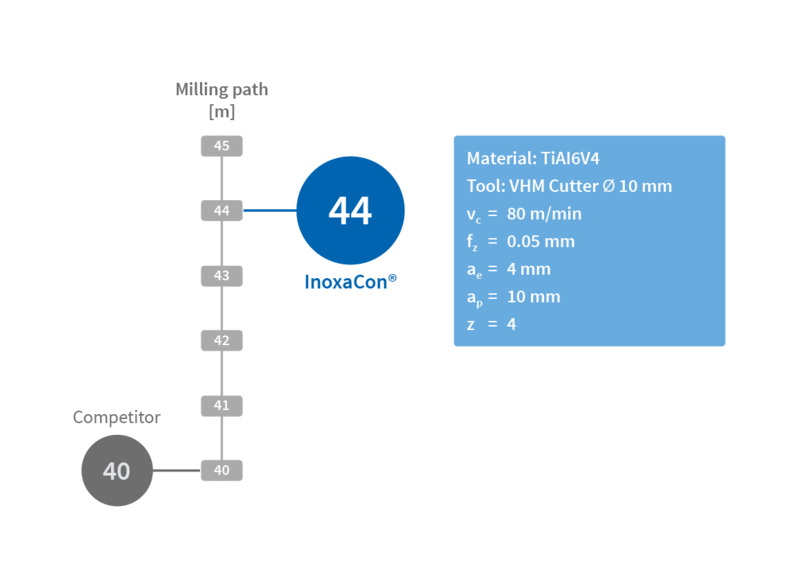 The HiPIMS process can even be used with very small geometries, since it does not produce any droplets and does not damage or round cutting edges. 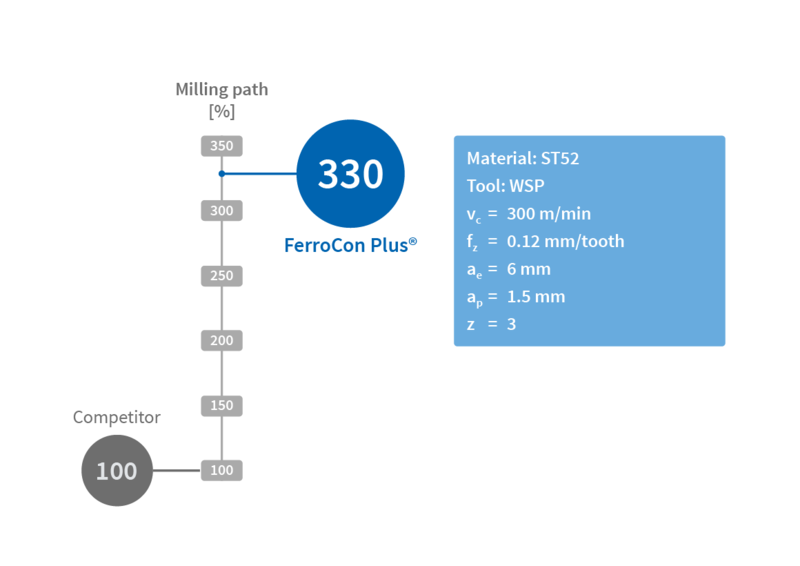 Excellent productivity, through deposition rates of up to 2 µm/h pure HiPIMS. You coat with our coating equipment within your own production line. 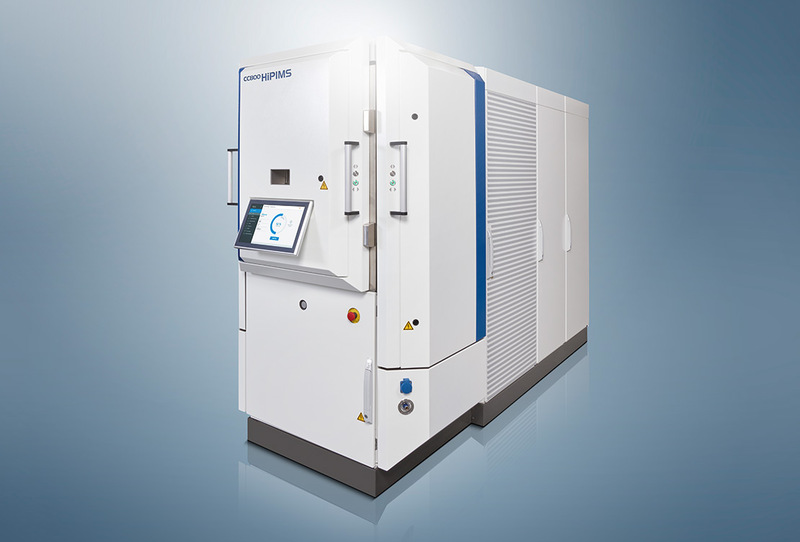 CC800® HiPIMS combines all the advantages of the classic DC Sputter coating system with the possibilities afforded by the latest HiPIMS Technology. You produce all CemeCon Sputter coatings, virtually all the PVD coatings available on the market and all pure HiPIMS coatings yourself. The CC800® HiPIMS operates extremely economically. In the pure HiPIMS mode, the system achieves deposition rates of 2 μm/h and processing times of 4-5 hours with a filling rate of up to 1,800 tools or 5,000 cutting inserts being processed. The CC800® HiPIMS is the perfect machine for the development of custom-built processes for the differentiation of the customers products on the market. The CC800® HiPIMS is of course user-friendly, ergonomic and designed for efficient use at customer production facilities. We coat according to your order in our job coating center. Please select a process to see the results.